Marsa Makris(P ’76) is an acclaimed cinema and theatre director and writer currently based in Greece.Her latest feature-length film Ierόsyloi (Sacrilege), co-produced by the Greek Film Centre and ERT – the Greek National Broadcasting Network – won the prize for best original soundtrack at theX’-Edition of Otranto Film Fund International Festivalin Italy for 2018. It was also shown at the official selection of the 4th Festival Internacional ADF-LUMITON de Fotografía Cinematográficain Buenos Aires, Argentina last year,at 50/50: Gender Equality, at the WIFT Film Festivalin Athens in 2018; and at the58th Thessaloniki International Film Festival in 2017. Her short-fiction film To taméno(Offered boy), was also presented in the official selection of the 56thCannes Film Festival, and in the official selection of many other international film festivals worldwide. It was also the Greek Film Centre’s entry for the European Academy Awards-Felix. Among her various striking artistic creations over the years, Ms. Makris is also known for her version for the stage of the emblematic work of renowned poet Yannis Ritsos, La sonate au clair de lune,commissioned by the IFA-Institut Français d’Athènes. 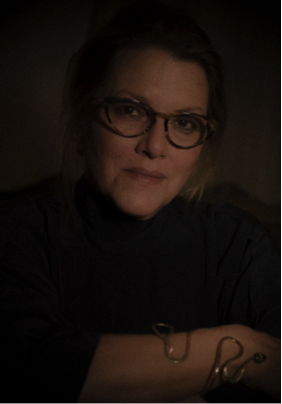 Her unique artistic vision has been honed through many projects as well as through her outstanding studies – Theatre Directing and Acting at the Stella Adler Conservatoryin New York, a bachelor’s degree in Motion Picture, Television and Video from the University of California Los Angeles, as well as through a slew of workshops all over the world, including Teatr Laboratorium,J. Grotowski, Wroclaw-Poland; Odin Teatret,E. Barba, Holstebro-Denmark;La Mama Theatre, Suizi Terayama, New York; Bread and Puppet Theatre, Peter Schumann, New York. Q: What are three enduring lessons you learned during your studies at Pierce? To believe in myself and to stand firm in my beliefs. A sincere quest of freedom comes with responsibilities. To appreciate and love the creative process. Q: Describe Pierce in three words. One…? There are so many! Images gallop in my mind. However, maybe the strongest moment was, when I returned as a mother with my older son as a student, back to the “old headquarters;” it felt like coming home! Q: What do you miss most from your days at Pierce? Q: Where was your favorite spot on campus? The basketball court and the grass spots outside the classes in spring. Certainly Marika Stroumbouli. She was a remarkable petite woman open to discussions and great controversial arguments. She reinforced my love for the Greek distinctness. I must, though, share my gratitude for the veritable American Pat Anderson, with her Californian head bandanas. She handled her students as brainy individuals, and fed us with most valuable knowledge. They were the first in a long line of instructors that crossed my path and pointed out the fact that learning is a lifelong commitment. Q: Have you kept in touch with any of your classmates? Due to my early world-trotting endeavors, I lost touch with the girls. Quite recently, I was super happy to get back in touch on the occasion of a great number of lovely reunions with the old “gang” and to discover that after the time lapse that intervened between us, the youthful spark is still there. It is certainly a beautiful feeling to be around friends after such a long gap or was it a pause? It is also sweetly melancholic – in a poetic way of course! Q: Did studying at Pierce help you during your university studies and beyond? I was always a rebellious spirit, a poet, an artist… I was looking for creative and inspirational experiences, not “normal studies” per se. Of course, a solid foundation is imperative. Certainly, Pierceplayed a pivotal part on that level. 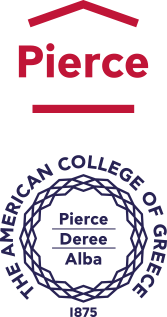 I have to add that my formative years at Pierce gave me the tools and confidence to absorb the best qualities of living and studying in the USA. Q: What’s the greatest piece of advice you’ve ever received? Q: What (or who) inspires you most? Everything around us provides me with what is called INSPIRATION; only there is not much magic in the air, even truth seems elusive. I work hard just to grab it and hold it tight. Life’s too short; I need pure creative partnership and sincere support in order to get inspired. This is how it is and how it should be. Q: Your motto in life? Life, all its forms and enigmas – these are the most precious gifts.